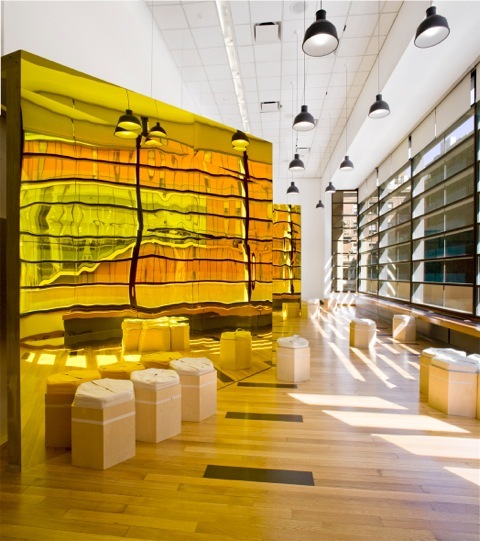 a temporary installation in the altschul atrium at barnard college (designed and constructed with students from the barnard + columbia architecture department). 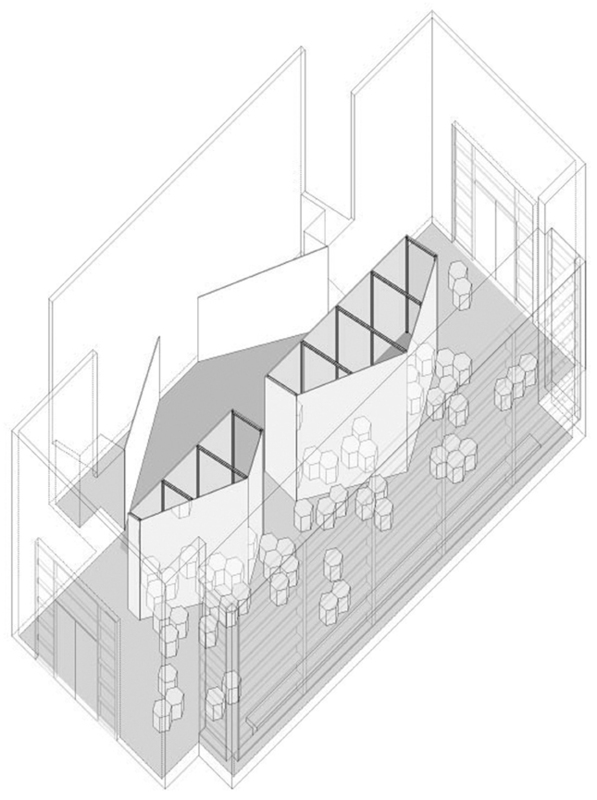 1 – axonometric of altschul atrium installation. reflections of reflections multiply the visual effects of student activities. 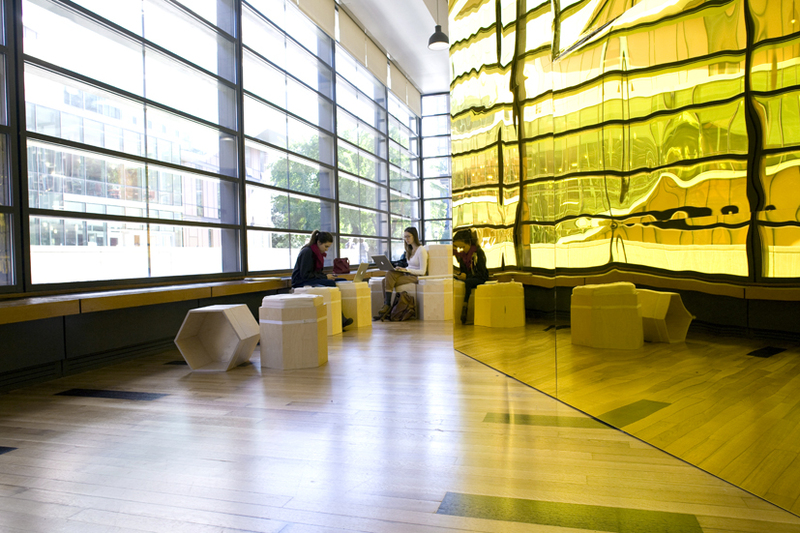 the atrium installation draws upon the diverse needs of barnard students and faculty, to create a place that accommodates multiple forms of use. a unique visual and functional identity is established for the project through the introduction of a hexagonal geometry. 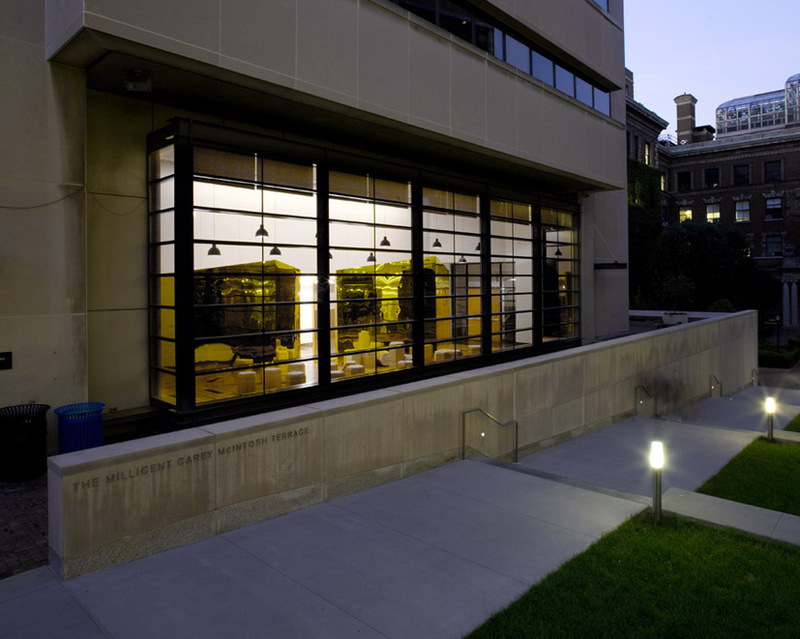 the hexagon operates at three different scales for this project – the scale of the campus, the scale of the atrium space and the scale of the modular furniture unit. at the campus scale the angles of the hexagon establish new orientations for engagement with the main campus promenade and the diana center across the way. at the scale of the atrium space the hexagonal geometry defines irregular spaces that provide a variety of areas to gather, meet and hang out in. this geometry defines the meeting area volumes which are located between the open atrium area and the underside of the protruding auditorium. the volumes establish three separate, but intermingled program zones – an enclosed exhibition zone, informal semi-private meeting zones and an open event and lounge zone.